Exterior wood stain, timber preservative, fungicides & insecticides for treating older wood - we do them all and not only. Apart from structural wood preservation measures, there are a number of different (chemical) preservatives and processes (also known as timber treatment, lumber treatment or "pressure treatment") that can extend the life of wood, timber, wood structures or engineered wood. These generally increase the durability and resistance from being destroyed by insects or fungus. The major forms of decay resulting from the attack of wood - destroying fungi are known generally as dry rot and wet rot. Both result from germination of airborne microscopic spores on wood with an excessive moisture content, the critical moisture equilibrium factor being 25% although some outbreaks are though possible as low as 20% MC. Contributory causes of this excess moisture can include blocked gutters, cracked or broken water or waste pipes, blocked air bricks, faulty flashing, missing, faulty or bridged damp proof courses, excessive condensation and inadequate ventilation. Attractive colours suitable for outdoor furniture and timber structures such as decking, garden furniture,sheds, gazebos and fences. Our oil based wood preservers ensure your timber stays healthy for years to come. Before any work commences, access for estimates of work to be carried out will be arranged first. Any estimate submitted for woodworm treatment will be accompanied with full details of other factors contributing to the effect. All additional defects which are found during the inspection will be included in detail on the estimate with a rider that until these faults can be rectified the efficiency of any treatment can not be ascertained or guaranteed effective. Correct surveying and estimating are equally as important as correct treatment methods. Timber is certainly one of the most attractive, and arguably the most versatile of the traditional building materials. Unfortunately, by its very nature, it is also the most prone to decay brought about by those insect and fungal attacks commonly - and often inaccurately - known as woodworm and dry rot. It is a turism that the eventual decay of untreated timber is inevitable. An ever - increasing demand for timber has meant that sapwood is being used more and more in present day building and manufacture. Sapwood contains starches and sugars which are in ideal food for fungal growth, as well as being particularly attractive to certain types of insects. It is therefore by no means correct to assume that rot and insect attack are restricted to older properties. Virtually any building or item of furniture is susceptible, given appropriate conditions and situations. 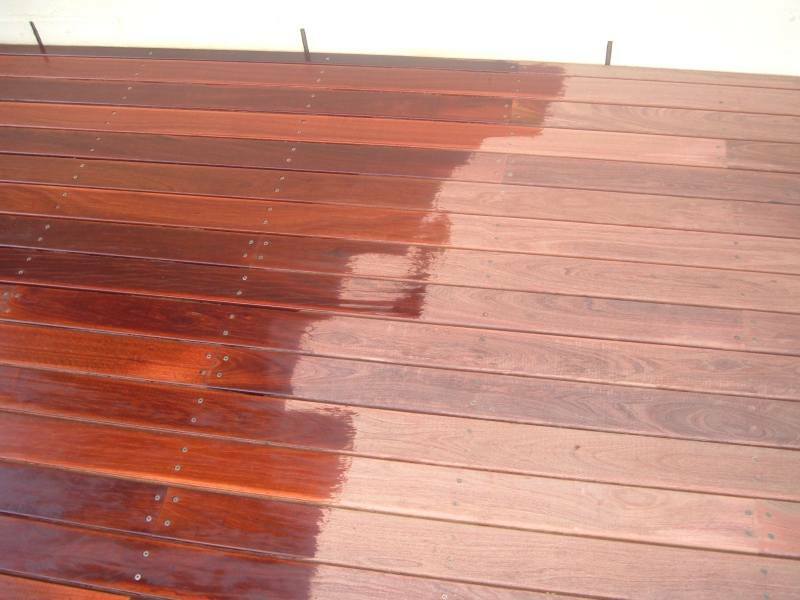 Exterior wood stain provides durable and elegant finishes on timber including both hardwoods & softwoods. Apply to exterior doors, window frames, garden furniture, fences and decking for high build, long lasting protection. Ideal as a decking stain or wood finish for outdoor furniture.